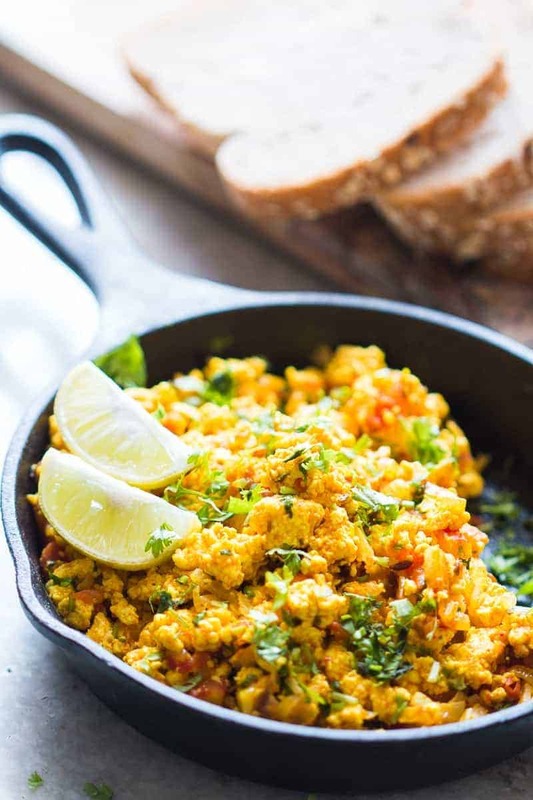 Paneer Bhurji aka turmeric cottage cheese scramble aka breakfast in ten minutes! What’s not to love about this? If there’s one thing I cannot live without, it’s paneer. 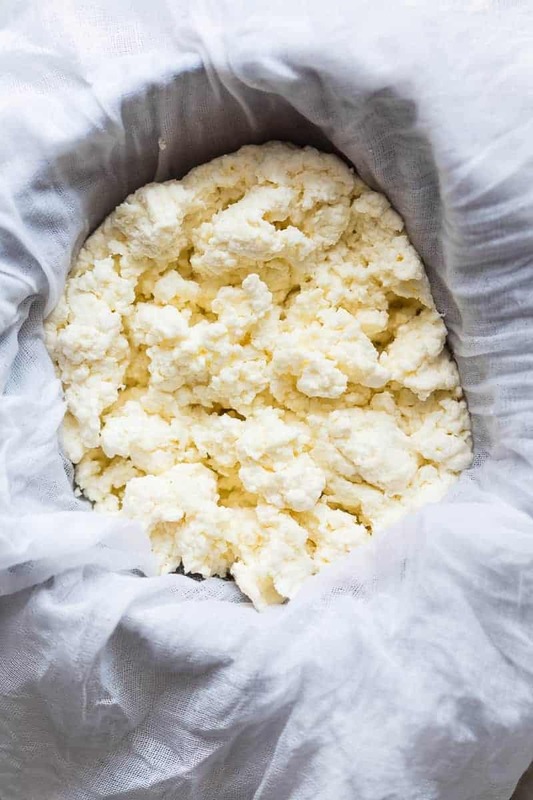 I’ve loved this creamy, Indian cheese for all of my life and while there is a lot of non vegetarian cooking on this tiny blog, there are just as many paneer recipes I think. I love love love paneer bhurji. It’s a completely legit vegetarian version of scrambled eggs that my grandma makes. And every time I’m at her place for breakfast, this is requested and it’s whipped up in a jiffy. It’s one of the easiest, most delicious ways to have paneer and works well especially with homemade paneer because homemade paneer —> waaaay better than store bought which can be dry, rubbery and sometimes sour! Don’t think that this recipe for paneer bhurji ends here. While the best and my favourite way is to have this with buttery toast, I also make sandwiches (best paneer bhurji sandwich coming up! ), rolls and turn this into a paneer bhurji gravy which is soooo good! That right there is Indian cheese, for all those who complain that India hasn’t produced much in the name of cheese. My favorite part every time I make paneer? Eating it by the spoonful while it’s still hot. There’s a wonderful tang to homemade paneer that’s different from when paneer turns sour. It’s this beautiful melt in the mouth texture, that doesn’t even need salt. I’m already thinking of making another batch now, just for that hot hot freshly made paneer. 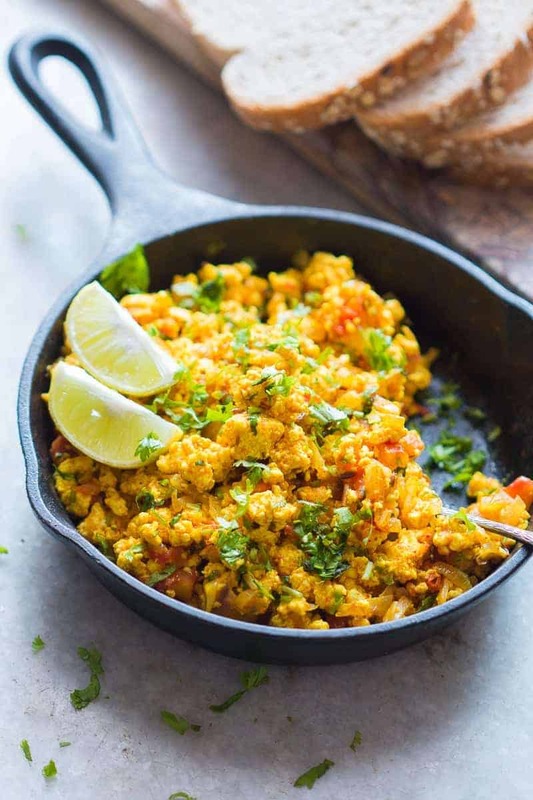 Do you have a favorite Indian breakfast recipe that rocks your world? Teelll meeee all about it in the comment section below! 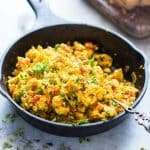 Super fast paneer bhurji or cottage cheese scramble with turmeric and spices for an easy to make Indian breakfast. One pan and ready in 15 minutes! Heat oil in a pan and add cumin seeds. As soon as the cumin seeds start spluttering, add onions and green chillies. Saute for two to three minutes and add tomatoes, turmeric, coriander powder and salt. Once the tomatoes are cooked through and start almost melting, add the crumbled paneer and mix well. Cook for a minute or two and switch off the flame. Mix in chopped coriander and serve hot with slices of bread or hot chapatis. This looks like a great alternative to traditional breakfast!